“Team building.” Just the mention of it is enough to make even the most stalwart employer (or employee) shudder. With a background in Organizational Development, I’ve seen my fair share of team building fails—and there are only so many cringe-worthy “Two Truths and a Lie” ice-breaker activities that we should all have to endure. Having said that, I’ve also witnessed some fantastic, inspiring team building exercises that have truly done wonders for team morale, productivity, and cohesiveness. But, how do you ensure that time, effort, and cost put into team building activities doesn’t go to waste? If you’ve had a bad experience in the past, or you know your team needs help but you’re not sure where to start, keep reading. I’ll guide you through how to get the most out of your next team building endeavor. Team building—often referred to as team development—is an organizational development strategy. The broad aim is to enhance organizational effectiveness by first tackling issues within a team. These issues may be either task-related or people-related. Task-related issues are relatively simple to fix. For example, you can fix task-related problems by workshopping a process and reallocating roles, or by designing a learning and development program to plug knowledge and skills gaps. You get the idea. People-related issues, on the other hand, are rarely simple, and there are certainly no quick fixes. Conflict, lack of accountability among team members, and poor communication all contribute to a fragmented team. Despite the clear benefits that effective team building can offer for organizations, many continue to get it very wrong. All too often, I’ve seen teams turn up to their annual team building event, get involved in all the activities, and then quickly forget key learnings once back in the workplace. One way to prevent this from happening is to have regular follow-up sessions to gauge how the team dynamics change over time. As I said before, people-related issues won’t be resolved overnight. Instead, it’s about setting the foundation for change by using targeted and well-thought-out activities. However popular team lunches or networking events are, they’re no substitute for well-planned, objective-based team development exercises. Social activities play their part in helping to form bonds and develop key relationships, but can also adversely affect a team’s cohesiveness and productivity. If some team members enjoy catching up after work or going out for coffee while others don’t, this can result in increased tension and rifts within the group. Avoid this by keeping social and team building activities separate. Trust me on this one. You may not be labeling your usual Friday after-work drinks as “team building,” but there are other reasons why your efforts to get your team to work together as a cohesive unit are going awry. It’s not uncommon for managers to embark on a team building day with absolutely no idea of what they want the outcome to be. It’s great that your team is having fun, but that shouldn’t be the main objective for the activities. Think about some of the triggers that have led to needing an intervention, and determine how team building can address these issues. Map out what you want to achieve before diving straight in. It may seem like a great idea to use an external facilitator to run the activities, but a team building event may be the perfect opportunity to demonstrate and hone your leadership skills. Enlist some help to plan out the activities and organize timings, but take the reins and run a session or two. Team members will see that you’re committed to the process and are leading from the front. It’s not enough to spend money on a facilitator and make sure everyone’s doing what they’re supposed to be doing on the day. 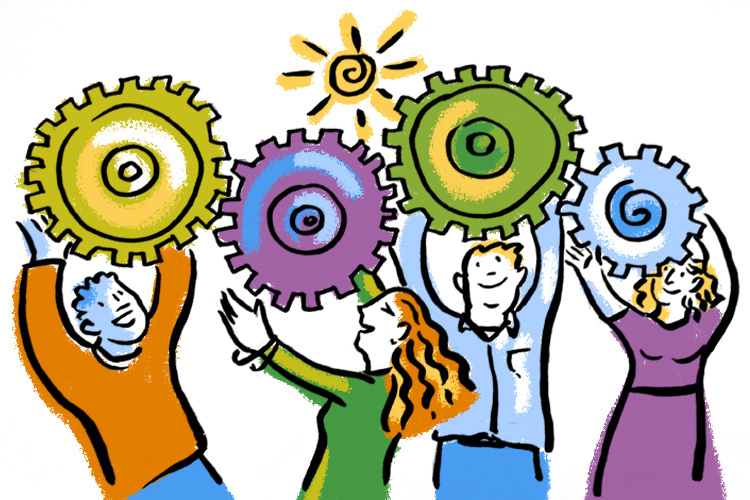 What makes team building worthwhile is having active involvement from all team members, and that includes you. Just because you’re in a leadership position does not mean you can shy away from being part of the action. Change it up and let others in your team take on a leadership role for some the activities, and make sure you still participate. You might be surprised how well workers respond to leading and being lead by one another when given the opportunity. There’s nothing more demotivating and uninspiring for employees than being told about an impending team building event, only to learn it’s going to be held in the boardroom. Having everyone go offsite is the best way to enable the team to focus on the core issues without having to be in the day-to-day work environment. If you do decide to go offsite, take into consideration ease of accessibility, especially if employees have to make their own way. Whatever activity you decide upon, make sure it is suitable so that everyone is able to take part. This means avoiding tasks that have the potential to embarrass or make fun of participants. Not everyone is comfortable telling their deepest, darkest secrets in the name of bonding. Health and safety are also important factors to consider. Don’t plan activities that are overly strenuous or require participants to be in extreme weather conditions, and be aware of making events accessible to any disabled employees. Bottom line: No one is going to have fun if they’re forced to be out in the torrential rain all day. One team building activity that has been tried and tested by many organizations is the Marshmallow Challenge. 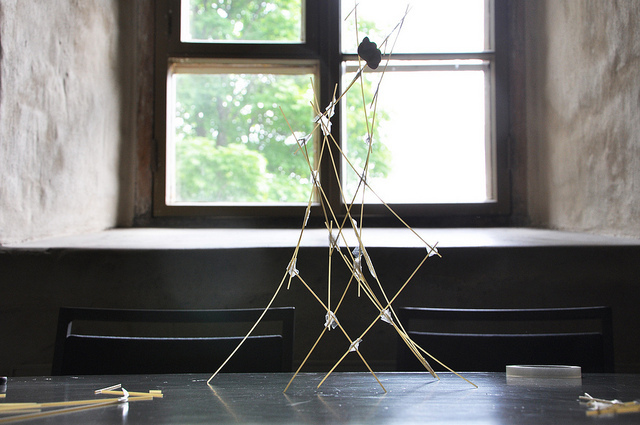 This fun task requires participants to split into small teams and build a structure that can hold a marshmallow. The task itself is simple, but there’s a catch: The only materials allowed are 20 sticks of uncooked spaghetti, one yard of tape, and one yard of string (and the marshmallow, of course). The team that builds the tallest freestanding structure that can support the marshmallow wins. Oh, and you only have 18 minutes to get it done. Warning: It can get frantic. This particular activity is a fantastic way for teams to demonstrate innovation, creativity, effective communication, and listening skills. According to creator Tom Wujec, children fare much better than adults when given this challenge. This is because adults tend to spend far too much time working out who’s going to lead the team, and then focus on planning their approach and executing the plan. If the initial plan doesn’t work, there’s often not enough time to fix it. Children just get going without all the drama and politics of who takes which role. The result? More time spent on creating and reworking a design that is not only functional but also interesting. So, if you have a team that is struggling to think outside of the box or needs to work on listening to and respecting others’ ideas, consider adding the Marshmallow Challenge to your next team building day. If you want to do something different from the run-of-the-mill team building options, there are other ways to get your team working together. Doing something for someone else can be extremely rewarding, and even more so if you’re able to share the experience with others. Research shows a strong link between frequent participation in corporate volunteering and increased employee engagement. It also has a positive effect on an employee’s perception of the corporate culture. There are lots of options for businesses to get involved with not-for-profit organizations and charities. Your team could paint a house or plant trees, the latter of which is becoming more and more popular. There’s no greater boost to team morale than having a shared experience that you’ll never forget. Team development doesn’t only have to take the form of activities that are completely removed from what the team is working on. You could develop a training program that focuses on ironing out issues that need to be addressed as a team. Examples include conflict resolution workshops or sessions on how to have constructive conversations. As with traditional team building events, ensure that all team members attend to get the best results. Whichever path you take, team building is only going to be effective if you, as the leader and driver for change, know where your team should be headed. Make sure the team’s goals and objectives align with the organization’s vision, mission, and values statements. Keep this in mind, and you’ll feel confident that you’re no longer wasting time on team building that doesn’t work.